Our DIY barefoot sandal kits are the perfect project for the family… you can make your own shoes in just a few minutes. Or you can let us do the work — send us a tracing of your foot for a custom-made pair of Xero Shoes. Not sure what to get, or ordering for a friend or family member? Get a gift certificate instead. good luck guys! I still have my INVISIBLE shoes, and i forgot that i bought them only a few months after you guys started! I’m not sure how to answer that… if for no other reason than I’m not a doctor and can’t make medical claims. They’re sandals that fit well, have good barefoot feel, and a layer of protection and some style. If you enjoy being barefoot and having natural movement, then you may enjoy them. Being a Diabetic I can say that you have to treat your feet like they are the only thing on your body that matters! With that I am going to get a pair because I also know that bare foot is the best for any foot. Diabetics are not suppose to leave their feet unprotected and we are reccomended to wear shoes at all times even indoors. You have developed something that will protect our feet from potential damage but will feel like we are barefoot! Awesome!! I would suggest that you research with a foot doctor or diabetic specialist to see what the best material or some sort of protective coating for the string that touches the foot like between the toes or around the back of the foot. Some sort of cushion or tube that slides over the string to add to those locations. Maybe neoprene? Thats what Im gonna try to use to modify them myself. Kudos to you for making a DIY kit! I hope that your exposure on shark tank does well for you. I beleive in this. Wish I had the connections and funds to back you because I deffinately would have been onboard! A big thank you from Alabama! Roll Tide! Can i call you with a size, without making a trace of my foot and you make them for me? If you want to order a custom-made pair, we need the tracing, because we trim the sore to fit your foot perfectly, and put the toe hole in the perfect place. Thanks, Larue… we’ll get your order out asap! And can’t wait to hear what you think when you can Feel The World! Well phooey on them… I ordered my 2nd pair for me and my 2nd gift pair – this time for a HS track runner. I love these sandals and they sure make my back feel better. I think it is difficult to get people who wear ‘those’ kinds of shoes to embrace nekkid feet feelings. I run on dirt roads and trails, do you experience a lot pebbles becoming lodged between your foot and the shoe? Or, more specifically, some people do at first (only SOME), and then their form subtly changes and it stops. Besides, if it does happen, you can knock out a pebble with a little flick. I have been wanting to get me a pair of these since I saw it on Shark Tank! I got the coupon code and everything working, but it says that it will be $16.96. (a good price for me:)) and I was just wondering if that included shipping, and if not how much your shipping is. Thank you! Oh and one more question! I will be going to summer camp in the summer and I was just wondering if I should get the connect or contact. I will be hiking, but I go barefoot just about everywhere I go! Thank you for your time, I appreciate your product! Hi Rylee… shipping will be on top of that price… and it’s calculated in real-time based on where you live and what you order. Regarding camp… if you’re usually barefoot, then I’d stick with the 4mm Connect. It’ll give you the best barefoot feel. Melinda… can you call our customer service line: 303.447.3100 and they’ll help you out with the coupon. Hi ~ I am a runner and love to run barefoot on the beach. How do these work for people who pronate or supinate? It is surprising the Sharks did not do their research (especially Robert, who is a runner) before dissing the idea. Running shoes (and racing flats) have gotten lighter and more molded to the foot over the past 20 years! Not only that but there are running shoes that look like gloves (with each toe being separated) to give you a more natural fit, i.e. more natural motion. Pronation is not, inherently a problem. Some of the best runners in the world pronate. It’s part of the spring mechanism of the lower leg. That said, when you run with good barefoot form — with a midfoot or forefoot strike — it reduces incorrect pronation because you’re landing with your foot and ankle in a strong, pre-loaded position. I *used* to be a pronator and wore orthotics for 30+ years. No more. The Sharks can’t research anything because they don’t know who they’re seeing until the entrepreneurs walk in to the Tank. But we were hoping he would be hip to the fact that most running shoes from 40 years ago and earlier were basically just like our soles but with an upper. You guessed correct. If your foot is 9 3/4″, you would order the size for feet “up to 10″ (which is the size F)… and the sole you get is actually 10.5” long. Then you can trim it for a perfect fit. Steve, any feed back from beach use? I too like to run barefoot on the beach. The feedback, not surprisingly is: they’re a big hit at the beach… but it also depends on what type of sand you’ve got: packed vs. loose vs. wet vs. dry… etc. Regarding support… read this: https://xeroshoes.com/barefoot-info/why-barefoot-running/ — in short, being barefoot or close to it puts LESS stress on your joints and bones. We’re from Denver and was hoping to actually see your product somewhere in Boulder, but didn’t see a store listing. Any chance this is coming? Great presentation on Shark Tank. My question is this: I’m disabled, don’t run- have Lupus & MS, and osteoporosis (from steroid treatments) that causes me knee & hip pain. I read a lot on your site & I too, subscribe to the thought that I need orthotics, etc. yet, my feet, legs, etc. still hurt. Are your shoes advisable/helpful for someone with such medical issues? Or are they more designed for a healthy, more active person? Thanks for your time. I wish you both much continued success ~ and may all beings benefit. I’m sure you understand the many reasons why I can’t give medical advice (other than I’m not a doctor). One question: How do you do if you’re barefoot for a short amount of time? If that’s okay, then our shoes should be as well. And you can think about being barefoot like doing exercises… start with just a little and build up to doing more SLOWLY. Thanks, Devin… interesting idea. I have a friend whose first business was selling massage sandals. I’ll have to talk with him. Just saw this on SHARK TANK – – -very interesting.I’m going to try a pair – – foot problem is or was actually caused by my ski boots, wo tight and as I used to be a novice (first couple of years had them too tight and didn’t release the hasps to relieve pressure, and doctors think I may have damaged nerves. So, once I get a pair and try them we’ll update you. Great presentation though – – must be tough to ignore Kevin though – -staying focused during his rants and consistant hammering on “hopefuls”. GREAT JOB, and you didn’t give the farm a way. Give us a call — 303.447.3100 or 800.499.8880. We’ll be in on Sunday Feb 3rd and, as always, M-F, 9-5 MT. b) concrete is not a problem. Many doctors recommend being barefoot as a cure for plantar fasciitis… the reason: when you walk barefoot and land more flat-footed, you actually use the arch when it’s “pre-loaded” and in a strong position. I’ll be writing about this more in the near future. I have never been able to wear a proper running shoe because my feet burn, tingle and go numb. I’ve had custom made shoes done for me at Nike and NOTHING has worked. I wear flip flops year round and I live in Chicago. These sound right up my alley. I’m beginning to run again on my treadmill but I always have issues with shin splints. Could these help? I’m also wondering if any of your shoes are vegan. Look forward to hearing from you. Peace and Love!! I used to get shin splints all the time and could never run more than 4 miles. I started wearing huaraches 2 years ago, I haven’t had shin splints even once, and I’ve been able to run 10-20 miles at a time (non-stop) without any pain! FWIW, we were there for ALL the reasons someone with a business like ours goes on that show: for an investment, an accelerator, and attention. We didn’t “take a spot away” from anyone because it was the decision of the network, the studio, and the production company that we were on the show. And, yes, our product is rubber and lace — but a high-performance rubber that was designed by the former lead designers from Nike and Reebok that will outperform any other rubber you can buy commercially. Steven – it was a nice presentation, and you have a great, fairly priced product and a strong brand image. However, I do agree with the sharks that you are overvalued at this point, though I think you are certainly worth more than the quoted $800k based on your growth over the past few years. It sounds like you guys are overwhelmed and a bit unsure of what to do next. From a marketing perspective you guys may want to consider focusing your various efforts on niche markets rather than calling your product the end all solution to everything related to moving on your feet (I know you want to change the world, but it isn’t very realistic). For example, I’m involved in the CrossFit community (which is growing rapidly), and I think putting a well-put together marketing mix (i.e. funny or interesting YouTube video, targeted ads and professional endorsement) in front of a more defined community could help you grow quicker, and will simplify things a bit for the two of you. Keep at it! We agree with you and have plans in place that I think you’d agree with. BTW, the industry experts and footwear/outdoor VCs we consulted with thought our valuation was low. Plus, that was our first offer… we weren’t stuck to it… but we didn’t get a reasonable counter. What most people don’t realize is that when I countered with 10%, that was a 20% drop in our valuation (from $5M to $4M). How far might we have gone? Depends on who was bringing what to the table… but, again, we didn’t get that chance. FWIW, there have been a number of businesses on ST that were at a similar growth stage, who had similar valuation metrics, who got deals. And we have friends in our niche who’ve gotten valuations MUCH higher than ours… before they even had a prototype of a product! I disagree; I think Shark Tank experts are clueless about the Barefoot running phenomenon. If you have read Born to Run (as most of the runners/ultrarunners I know have), you would have known about these huaraches. No one is twisting your leg to buy these shoes, even if you are a “lifetime” runner, but I’m personally going to try them out as I’m curious to see how they compare to the Vibram FiveFingers (I have two KSO’s — the retired pair has 306 miles and my current pair has 270 miles on them). Thanks for the kind words, Ron. 2/3 through Born to Run right now, what a coincidence to see you on the Shark Tank! I was planning to try the Vibram FiveFingers – only because I didn’t know of any alternatives. How do they compare to your Xero Shoes? I saw you guys on Shark Tank and I loved the idea. I’m not a runner by any means, but I would go barefoot everywhere if businesses didn’t have that pesky “no shoes, no shirt, no service” rule. I wear flip flops year round because I hate having my feet confined. I ordered a pair and I can’t wait to get them. I bought my Xero shoes last May. After Shark Tank my family is now intrigued. It would be nice if they would listen to me when I say these shoes are the way to go, but if seeing your product on t.v. was enough to change their mind than I will take it! Great show! Great shoe! Recently caught the SharkTank episode with you and your company’s product. I am an avid runner and proud to live in Colorado myself (formerly Boulder until last August). I did have a question before trying your product. I have flat feet and have not found anyone with experience as a flat-footed runner with the barefoot or almost barefoot experience; has your product been used by flatfooted runners? Thanks for any information and best of luck with your product! Well, *I* am a formerly flat-footed person. For my whole life, until I was 46, I had crazily flat feet. After being barefoot for a few months, I developed arches! They’re not super high (that’s genetic), but they’re there. When I get out of a pool, my footprint looks like, well, A FOOT! It used to look like a paddle. The basic idea is that when you USE your feet, you can strengthen the arches. If you post on Facebook (www.facebook.com/xeroshoes), I know you’ll find other stories of flat-footed (or formerly flat-footed) runners who have gotten rid of their orthotics and support. Rich, I started walking barefoot about 3 years ago and have been wearing xeroshoes most of the time since May. I’ve been running with them for about 25 to 35 miles/week. I ran 4 half marathons, hiked a 14er, a 13er and guess what? I’m flatfooted. I maybe the first person to claim Steve’s 5k warranty. too suffered from plantar issues and wearing the Xero Shoes completely cured my issues. I used to deal with lots of foot pain and now every shoe I own is Zero-Drop and the Xero Shoes are my go to shoe year round. I can run or walk in them and as you get used to wearing them your foot ails simply go away. Start slow and you will love them! Once you develop a fore-front strike in your running and walking you will be amazed. On a side note, I’m so happy you turned down Mr. Has Tons Of Money Yet Not So Wonderful With People. No need to sell your ‘sole’! Just get enough walking billboards like me and you’ll kill it! I’m reading “Born to Run” right now and seeing your shoes got me soo excited! I was literally hitting my boyfriend yelling “Its like that tribe in Mexico!” Good luck! I AM SO EXCITED about your product!!!! I got shin splints in college from running, and now have been told that my feet go inward when I run if that makes sense. Can’t wait to try your product. The sharks were delusional when they didn’t see your company’s potential. I saw you on Shark Tank and I can honestly say that I have never walked away from that show as mad as I was that night. I think these are great, I went right to your site and ordered a pair and I think the Sharks were idiots to dismiss your product like that. Their loss!! I can’t wait to get them and start using them. I am a runner, walker, hiker and also do yoga. I can think of so many situations where these will be awesome to have. Thank you! 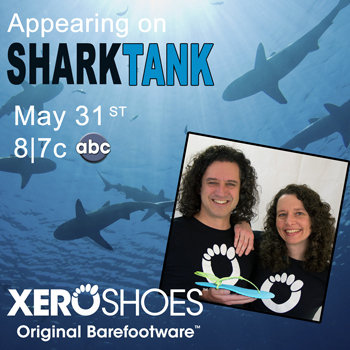 I just saw the Shark Tank episode about your Xero Shoes. Here’s a question for you. I am diabetic and I have diabetic neuropathy in both feet and legs. Have you had any feed back from people who have this condition who have purchased your shoes? Wearing sneakers, running shoes, etc. after a bit becomes very uncomfortable. I was just wondering if anyone who had purchased your shoes and is diabetic has given you any feed back. Thanks. We’ve had a lot of diabetics asking about our shoes since the show. I don’t, though, have feedback from anyone yet. The best thing I can say (since, obviously, I can’t give medical advice or make health claims), is that if you think you’ll be okay essentially barefoot… but with protection and the freedom of natural movement, that’s what we provide. 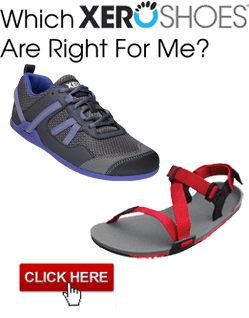 Or, if you like the IDEA of flip-flops, but want something much better (see http://www.xeroshoes.com/notflipflops), that’s what we have. why does it say ‘special sale’? what’s so special? It *WAS* a special sale that went on for a week after the show aired. Now we’re back to our regular low prices, which includes our 5,000 mile warranty. This is the first time I went to buy something after watching shark tank. You made the right choice! My daughter, now 15, has hated shoes all her life and wears flip flops when she has to. I’m thrilled to find something better for her feet. My husband and I are also getting a pair. You two are awesome! We’ve thought about all of those. There are times they’re great… and times they’re not. We have a few new products coming out that may need some crowdsource funding. We’ll see. I have Morton’s neuroma, which flares up when I’m barefoot. Do you have any experience with clients who deal with this condition? What you may want to experiment with is HOW you land when your barefoot. Try different “foot strikes” — midfoot, flat footed, forefoot — and see if that makes a difference for you. BTW, James’ website is a BRILLIANT resource about natural movement and barefoot running. GO THERE! I think the Shark Tank guys were silly not to fund you guys, but unlike some of the other commenters, I’ll still watch the show, because it gives exposure to great ideas like yours, that I otherwise would never know about! However, as a couple of people have noted below, yours has been the only product I’ve seen on the show that I actually went and purchased — I think it is a very marketable product! My mom and uncle are both into the barefoot running thing, and I’ve read part of “Born to Run” – it was really interesting. There is a rapidly growing market there…. I hate wearing shoes, and can’t wait to get yours and try them out! I just saw the episode!! those guys are effwording crazy to turn you down! I don’t have a credit card, and retailers in Toronto? other wise I guess I’ll HAVE to find another way. I can’t stand wearing shoes! I have idiopathic peripheral neuropathy and flip flops are my best friend. I was so mad after watching Shark Tank and hearing such rude remarks about your sandals. I’m going to order my first pair today. I’m sure I’ll be back for several more. I’d love to go barefoot all the time but public places frown upon that and it’s too dirty and unsafe. Thanks so much for your smart idea!!! Hello Steven, I saw you both on Shark tank and found it amazing listening to your presentation. My husband and I are constantly wearing flip flops and wear them out so much that we have to buy many pairs during the summer. I am courious about it and have ordered a pair to try them. Before I can convience my husband to get a pair, I need to be the ginnie pig (sort of speak) lol and give him feedback. I hope i will like them…. If so, I am retired military and will send out a massive email to let my fellow friends and family know about it. I hope you both do well. Looking forward to hearing what you experience then! BTW, we have a LOT of military customers. A few of our Special Forces guys think Xeros should be standard issue. I’d love to make that happen! Sometimes the best business boost is not getting a deal in the shark tank. Good luck. Can’t wait to get my shoes. We definitely have philanthropic goals (see https://xeroshoes.com/barefoot-running-tips/we-support-the-tarahumara/). The problem with the “buy one/give one” campaigns is that they raise their prices quite a bit to fund them… and one of our other goals is affordability. We’re committed to finding the right balance. When I was running cross-country in High School my fastest times were always barefoot – I never liked stepping on rocks and sharp objects when I was running. These Xero shoes would have been perfect for those runs. You have a great product that the Sharks passed on – they have no idea the potential popularity of Xeros. May you reach every goal you set out to do. I personally hate wearing shoes. When I saw you guys on Shark Tank I immediately thought, “I have to have those shoes”. They look really comfortable and they let your feet breathe so I’m definitely a fan of a shoe that gives you the best of both worlds. It protects while feeling barefoot. Awesome idea guys. Lots of great comments, but I’m surprised that of all the suggestions, no one mentioned how to make them even closer to truly barefoot, while further distancing yourselves from the big companies. I’m talking about grounding. As you may know, there is probably more benefit these days to walking barefoot on the Earth from being grounded (and discharging all the electromagnetic radiation we accumulate from all the devices we handle and come in close contact with), than there is from landing our feet naturally as nature intended. And the dual benefits of both grounding and minimal material between the ground and our feet is probably the nearest thing to going fully barefooted that is currently possible. So, my suggestion is to add a conductive material to both surfaces, so that wearing them allows a person to actually ground themselves to the Earth like it was skin to dirt. Grounding is also a market on a steep incline, but I know of only one instance of grounding shoes on the market. David Wolfe at Longevity Warehouse offers some grounding flip-flops, but they are the “same old, same old”, shoe-wise, with the exclusion of the grounding functionality. So, that may be something you can capitalize on. Now to go take a look at your offerings. Hopefully you can hook-up a Sasquatch like me (size 15s). I’ll be pulling for you two. All the best! Our largest size, Russ, is for feet up to 12 3/4″ long, which is about a 15.5-16. So measure your foot and see if it’ll fit. I have to say that I love Shark Tank and after all this time watching that show, I have NEVER gone in search of a product to order until this. I am going to order a pair and can’t wait to see if they are everything you say they are, I sure hope so! I think it’s a great idea and I’m excited to try them out. I have NEVER seen the show Shark Tank before the other night. Randomly, it was on TV while I was at work the other night. My wife and I are both competitive athletes. I’m a cyclist, and she’s a runner. She buys all of her running shoes at our local running store, Two Rivers Treads. (In fact, one of the owners there used to be my personal physician). First, the fact that they are carrying your product speaks VOLUMES. The gang at TRT are extremely forward thinking, and are helping to lead the natural running movement. Second, after rewatching the Shark Tank episode with my wife, we’ll both be purchasing Xero’s this week. Great decision to NOT give up half of your business. And by the way, if you ever have an opportunity to visit TRT, Shepherdstown is a wonderful place! We can’t wait to come visit Bryan. The TRT gang are wonderful people and we’re grateful for their support. after I ordered shoes I was told it would take 2 weeks because of a big response to a sale price I missed out on. Still waiting after paying full price and still no shoes! How difficult could it be? There are many doctors who recommend being barefoot as a treatment for Plantar Fasciitis (see http://sock-doc.com/2011/03/205/ for example) … and Xeros are the closest thing there is to being barefoot. MUCH closer than all the “toe shoes” (see http://www.xeroshoes.com/compare). I have been trending toward being more and more barefoot for a few years and when I came across Xeroshoes I knew that I needed a pair. I have been wearing my new do it myself 4mm Xeroshoes for two weeks now and I love them. They are just what I wanted, a shoe that emulates barefoot with some added confort and the ability drive and enter restarants leagally. Love the Xeroshoes. I just got my first pair of Xeros. I have always loved going barefoot but there were no sandals that gave some protection and not the heat of Five Fingers. Wow–after a day these are great. From my point of view, the body has a natural intelligence and these allow the body to flow more easily. As I get older, I know balance is crucial, and I have so much more balance and able to feel where I am placing my feet with Xeros. Iʻll be ordering more of them–and maybe even tackling tying the laces on!! Thanks. They are great. Just got my Xeros and promptly headed out for a quick 3 miler. I have been running in other minimalist shoes for a few years, and I can already tell that these are going to be my new favorites. Thanks for a quality product! Steven, these things are pretty awesome. i’ve been going barefoot gradually for the past couple years and honestly now i don’t need anything to run on the streets, but i want to run in more rugged terrain and these huaraches are perfect for that. they still allow me to feel what’s under my feet without having to worry about cutting them up. i’m in the military and i’m going to run my next pt test in them and if they dont like it they’re going to have to kick me out, which i wouldnt mind much. Good luck, Brady (we have a lot of military people wearing Xeros, but I don’t know if they’ve tested in them. I can’t wait to hear what happens as you spend more time in your Xeros, Lisa. Keep us posted… and FEEL THE WORLD! I have flat foot I wonder if xero shoes would work for me too? according to what I read at least 20% of the population is like me having issue of flat foot. 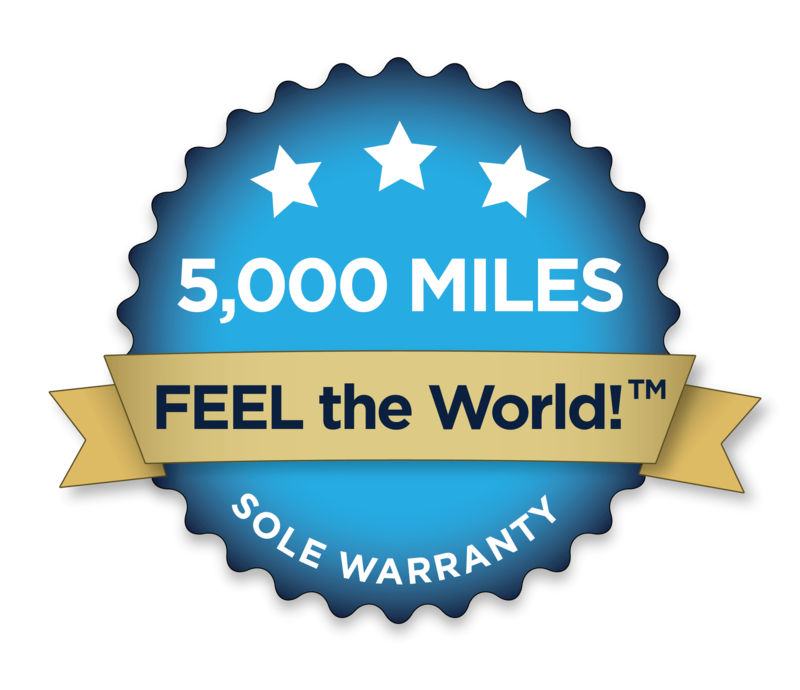 We have LOTS of Xero Shoes customers who have (or *had*) flat feet. I’m one of them. If you’re comfortable when you’re barefoot, you’ll be comfortable in Xero Shoes, flat feet or not. OH… and Lena’s pair would be great to wear in the office! Of course I have some clients where I need closed toed shoes….. Sigh. Unfortunately, my super wide feet probably won’t work with them. 🙁 At least not the ladies styles! As you assessed, you can try the “men’s” styles for a wider women’s foot.